The construction of a potato clock is simple science project that demonstrates how batteries convert energy from a chemical reaction into electricity. In a battery, two metals, such as zinc and copper, react with a solution to create an electric current. In a potato battery, the phosphoric acid in the potato juice reacts with zinc and copper. A single potato battery may not produce enough voltage to power the display of an LED clock. According to the Science Buddies mentors, potatoes wired in series will produce the sum of the voltage of each individual potato battery. Open the battery compartment of the LED clock. Remove the button battery from the clock. Make a note of the location of the positive (+) and negative (-) terminals inside the clock’s battery compartment. Push a galvanized nail into each potato about one inch deep. In this type of battery, the galvanized nails will serve as the anode, or negative (-) terminal, of the potato battery. Galvanized nails have been coated with zinc. According to the experts at the Berkeley Cosmology Group, the phosphoric acid in the potato juice oxidizes the zinc on the nail, freeing electrons. Push the heavy-gauge copper wire about an inch into each potato. The copper wire will serve as the cathode, or positive (+) terminal, of the potato battery The copper reacts with the phosphoric acid, using electrons from the reaction to form hydrogen gas. Connect the positive terminal of the LED clock to the copper wire from one of the potatoes with one set of leads. 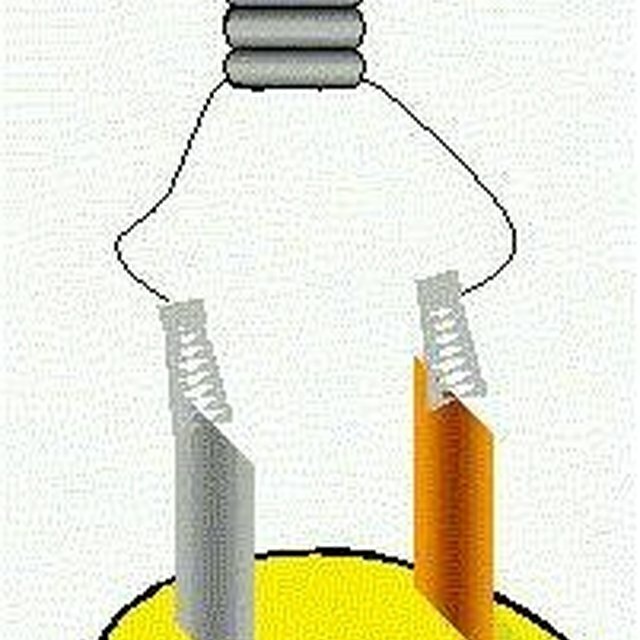 Connect the negative terminal of the LED clock to the galvanized nail in the other potato with another set of leads. Connect the galvanized nail in the first potato with the copper wire in the second potato using the final set of leads. The connection between the zinc-coated nail and the copper wire allows the free electrons from the positive electrode to flow to the negative electrode. It creates the flow of electricity. Check the display of the LED clock. The potato batteries are wired in series, creating a two-cell voltaic battery, and should produce enough voltage to power the LED display. The galvanized nail and the copper wire should not touch under the surface of the potato. If they do, the reaction will not have the desired effect. Rough galvanized nails work better than shiny, smooth galvanized nails because they have a thicker coating of zinc. 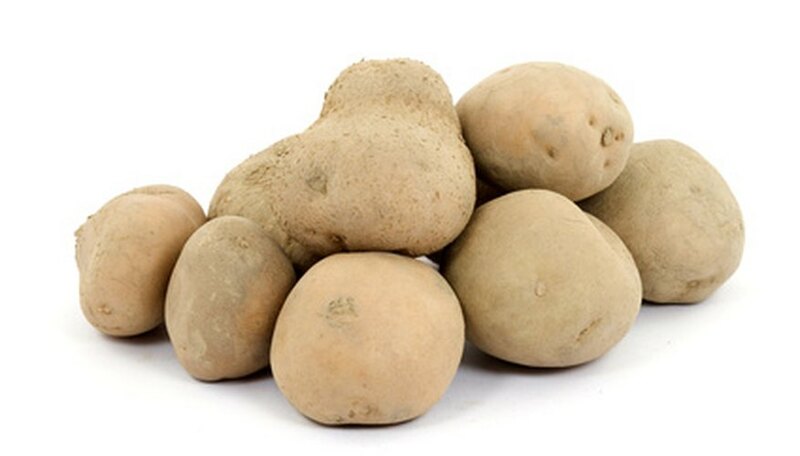 Scuff up the metals with steel wool or sandpaper before inserting them in the potatoes to improve the reaction. Do not eat the potatoes after the experiment. Throw them away. Baca, Mindy. "How to Build a Potato-Clock Science Project." Sciencing, https://sciencing.com/build-potatoclock-science-project-6521338.html. 25 April 2017.